India Pakistan Eden Match Ticket, 2013 India Pakistan ODI Cricket Match Ticket, 2013 India Pakistan Eden Kolkata Match Ticket Buy Online, Ticket Price of 2013 India vs. Pakistan ODI Cricket Match Eden Gardens Kolkata. India vs. Pakistan 2nd Airtel One Day International (ODI) Day-Night Cricket match will be played at Eden Gardens Kolkata on 3rd January 2013. Pakistan touring India after a long gap to play two Twenty20 and three ODI Cricket matches. One of the ODI Cricket Matches is scheduled to be played at Eden Gardens Kolkata Cricket Stadium [Check full schedule of India vs. Pakistan 2012-2013 Series]. Are you looking for the Tickets of India & Pakistan Cricket match of Eden Garden Kolkata? Do you want to know the India – Pakistan ODI Match Ticket Price of Eden, Kolkata? Do you want to know how to buy India Pakistan ODI Tickets Online? Do you want to know where to contact if Online Tickets not delivered to your home within the time? Please check out the details mentioned below regarding India Pakistan ODI Match Ticket of Eden Gardens, Kolkata. The Cricket Association of Bengal (CAB) has decided to distribute India Pakistan ODI Match Tickets through Online process only on the basis of first-come-first-serve. Those who have booked match tickets online will get their tickets at the given address within the scheduled date. At first let’s check out the India & Pakistan Eden ODI Match Ticket Price – Rs.500/- (Minimum), Rs.1000/- & Rs.1500/- these are the three different priced Tickets are available for the people who want to watch India taking on Pakistan at Eden Gardens Kolkata Cricket Stadium on 3rd January 2013 [Day Night]. Rs.500/-, Rs.1000/- & Rs.1500/- priced tickets of Eden Garden India & Pakistan Cricket Match [3rd January 2013] are available for the people online only. You all are requested to buy Online India Pakistan Eden Match Tickets only through www.kyazoonga.com website [authorized & official / don’t purchase from any other website]. Remember, No Tickets of India & Pakistan ODI Cricket Match will be available at Ticket counters of Eden Garden or elsewhere. Please mention correct Name, Address during Online Ticket Booking of India Pakistan Eden match. One person i.e, using one email ID you can purchase only one India Pakistan ODI match ticket. A nominal fee as courier charge etc will be taken extra while purchasing Online Ticket of India Pakistan Eden match. People can buy online match tickets of India & Pakistan on & from 27th December 2012 [till the stock last]. People will get their Tickets at the mentioned address by courier service. If anyone bought online ticket and didn't receive ticket by 31st December 2012; then he/she should call 022-2637-6600 phone number with Ticket Not Delivered issue. CAB won’t be responsible for any issues regarding online tickets. Hurry on! Online tickets are being sold every second at www.kyazoonga.com. The Cricket Association of Bengal (CAB) will distribute the Honorary Life, Associate & Annual Membership Tickets of Airtel 2nd ODI Day-Night India & Pakistan Cricket Match on 29th & 30th December 2012 [11am to 5pm] at Eden Gardens Stadium [Gate No.5, 6, 7, 8 & 9] after producing the Membership Card or relevant document. iplt20.com, 2013 IPL T20 Match Schedule, Indian Premier League 2013 Cricket Matches, IPL 6 full schedule, IPL 6 2013 Match Fixture, IPL 6 Cricket Match Timetable, 2013 IPL 6 T20 Match venues, 2013 IPL 6 Match Timings, KKR 2013 IPL 6 matches, CSK 2013 IPL 6 matches, Mumbai Indians 2013 IPL 6 T20 matches, RCB 2013 IPL 6 matches, Delhi Daredevils IPL 6 2013 T20 matches. 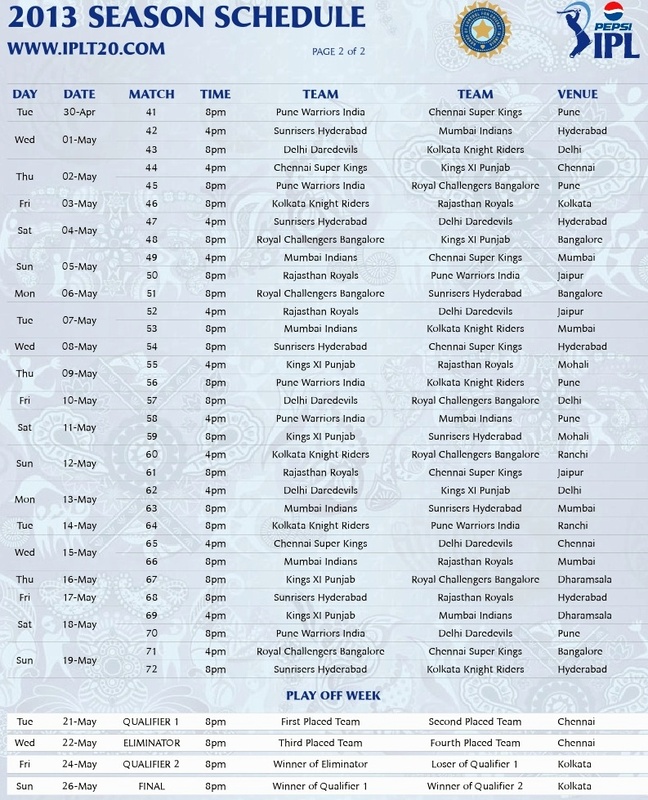 Indian Premier League (IPL) Season-6 full T20 match schedule has been announced by the board and 2013 Indian T20 Cricket fever will began on 3rd April 2013 at Eden Gardens, Kolkata. Since last year Kolkata Knight Riders (KKR) won the IPL T20 Cricket Tournament; thus the IPL-6 Opening Ceremony, Opening T20 match and Final match will be organized at Kolkata i.e., at Eden Gardens Cricket Stadium. Because of the issue with the franchise owner of Deccan Chargers (Hyderabad) team; the franchise owner has been changed and the Hyderabad IPL team name has been changed to 'Sunrisers Hyderabad'. Final team selection of IPL Teams will be done through IPL Auction process that will hold on 3rd February 2013. Indian Premier League (IPL 6) 2013 consisting of 9 teams and each of these nine teams will play each other twice [Home & Away match] in the league stage. Then the Top 4 IPL Teams will be playing Play-offs. The sixth edition of IPL T20 Tournament starting on 3rd April 2013 will end on 26th May 2013 (Final). Now, let's check out the full match schedule of IPL-6 along with the IPL T20 Match Venue, Timings below. India England Kolkata Test Ticket Price & Online Ticket Booking 2012 3rd Test Eden Gardens Kolkata, 3rd Test India England Eden Gardens Tickets, December 2012 India England 3rd Cricket Test Match Tickets of Eden Gardens Kolkata, India England Test Match 2012 Eden Gardens Kolkata Ticket Price, Online Ticket Booking of India England Test at Eden Gardens Kolkata in December 2012. India won at Ahmadabad and England came back strongly at Mumbai beating India comprehensively in Airtel 2012 India vs. England 4-Test Match Series. The result of 2012 Airtel India vs. England Test Match Series is 1-1 and the 3rd test match to be played at Eden Gardens, Kolkata. Eden Gardens, Kolkata Test Cricket Match of India & England will be crucial for both teams to win the 2012 Airtel India vs. England Test Series. Here we will check out details of 3rd Test Match between India & England to be played at Eden Gardens, Kolkata starting on 5th December 2012. • 3rd Test Cricket Match of India & England Date Schedule: - 3rd Test Match between India & England to be played from 5th December 2012 to 9th December 2012. • 3rd Test Cricket Match Venue of India & England 2012: - All important Test Match between India & England will be played at Kolkata’s Eden Gardens Cricket Stadium. Please check details of Eden Gardens, Kolkata. The Day Ticket Prices of 2012 India England Eden Gardens Test Match are Rs.100/-, Rs.200/- & Rs.300/-. Season Ticket Prices of India England Eden Test Match 2012 are Rs.500/-, Rs.1000/- & Rs.1500/-. Honorary, Life, Associate & Annual Membership Tickets of 2012 3rd Test Match between India & England at Eden Gardens (Kolkata) will be distributed on 29th & 30th November 2012 [11am to 5pm] from Eden Gardens Gate No.5, 6, 7, 8 & 9. Membership Card / Subscription Payment Receipt to be shown at the time of taking Tickets. General Tickets of 3rd Test Match 2012 of India & England at Eden Gardens, Kolkata: - Day Tickets & Season Tickets will be available for the people from Eden Gardens Gates & other places at Maidan as well. India England Eden Test 2012 Tickets will be available at the Eden Gardens, Kolkata Gate No.3 & 4 from 27th November 2012 between 10am & 5pm for the people. Tickets will be available on first-come-first-serve basis till stock ends. So, rush to Gate No.3 / 4 as soon as possible to buy Eden Test Match Ticket. • Online Ticket Booking Process of India vs. England Test Match 2012 at Eden Gardens, Kolkata: - Don’t wait to buy 2012 India England Eden Test Tickets manually; because Tickets of India England Cricket Match of Eden Gardens Kolkata (December 2012) are being sold Online & thousands of people Booking Online Tickets every day. You can also Buy India England 2012 Test Match Tickets of Eden Gardens Online via authorized & official website http://www.kyazoonga.com/Cricket/_Airtel_Series-_India_vs._England_2012-13_3rd_Test/438/2. This is to inform you that Sachin Tendulkar is now 39+ years old and it could be his last Test Match at Eden Gardens Kolkata. So, don’t miss to see God of Cricket Little Master Sachin Tendulkar at Eden Gardens. Who will win at Eden Gardens, Kolkata? Time will answer it. Pakistan vs. India December 2012 series schedule, Pakistan vs. India 2012 2013 Cricket matches, India vs. Pakistan 2012-2013 Cricket match schedule venue ticket timings, India 2012-2013 Cricket Series time table, Pak vs. Ind 2012-13 cricket series schedule time table, when Pakistan vs. India series starts in 2012-2013, cricket series pak vs. India 2013, Pak v India cricket series venues, Pakistan vs. India t20 cricket match schedule venue, 2012 2013 Pakistan vs. India ODI Cricket series schedule venue, Eden Gardens Kolkata India Pakistan ODI Cricket match 2012 2013. Pakistan Cricket Team is coming to India after four years on 22nd December 2012. It’s the first India Pakistan Cricket Series to be played since 2008 Mumbai Terror attack. Within this four long years, India & Pakistan had played few One Day Internationals & T20 Cricket matches but these two teams hadn't played any Cricketing Series held by India or Pakistan. After a long wait, at last Indian & Pakistan Cricket Board finalized & announced the upcoming India Tour of Pakistan Cricket Team schedule. Pakistan Cricket Team is coming to India to play ODI & T20 Cricket matches during December 2012 to January 2013. No Test Cricket Match to be played between India & Pakistan in this 2012-2013 Pakistan touring India series. 1st T20 Cricket Match between India vs. Pakistan on 25th December 2012 at Bengaluru. 2nd T20 Cricket Match between India vs. Pakistan on 28th December 2012 at Ahmedabad. 1st ODI Cricket Match between India vs. Pakistan on 30th December 2012 at Chennai. 2nd ODI Cricket Match between India vs. Pakistan on 3rd January 2013 at Kolkata. Eden Gardens, Kolkata Cricket Stadium will hold the 2nd One Day International Cricket match between India & Pakistan and it’s a New Year Gift to all Cricket lovers of Kolkata & nearby areas. 3rd ODI Cricket Match between India vs. Pakistan on 6th January 2013 at Delhi. This is the Last match between India & Pakistan in this short 2-weeks tour of India. 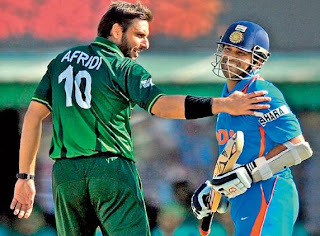 1st T20 Cricket match between India & Pakistan will be played on 25th December 2012 through which the Indo-Pak Cricketing Series will began after 4 years. Eden Gardens, Kolkata gets an ODI Cricket Match of India & Pakistan on 3rd January 2013. Schedule of ICC T20 World Cup 2012, Twenty20 Cricket World Cup 2012 Match Fixture, Indian match dates timings schedule of T20 World Cup 2012 Twenty20 Cricket Tournament match chart 2012 T20 World cup India match fixture, ICC T20 Cricket World Cup 2012 Match Timings IST Indian Timings, T20 2012 World Cup Cricket Matches watch live, Time Table cricket matches ICC World Twenty20 2012 T20 World Cup cricket tournament. International Cricket Council (ICC) has announced the 2012 Twenty20 (T20) Cricket World Cup schedule. The T20 World Cup Cricket Tournament 2012 will begin on 18th September and the Final match will be played on 7th October 2012. Sri Lanka will host the 2012 ICC T20 Cricket World Cup and the matches will be played at Colombo, Hambantota, & Pallekele stadiums in Sri Lanka. Let’s check out the ICC 2012 Twenty20 Cricket World Cup Groups, T20 Match Fixture along with match venues & Indian Timings. Group-A: - India, Afghanistan, England. Group-B: - Australia, Ireland, West Indies. Group-C: - Sri Lanka, Zimbabwe, South Africa. Group-D: - Bangladesh, New Zealand, Pakistan. Tuesday September 18, 2012 T20 World Cup Match at 19:30 (IST) - Sri Lanka v Zimbabwe at Mahinda Rajapaksa International Cricket Stadium, Sooriyawewa, Hambantota. Wednesday September 19, 2012 T20 World Cup Match at 15:30 (IST) - Australia v Ireland at R Premadasa Stadium, Colombo. Wednesday September 19, 2012 T20 World Cup Match at 19:30 (IST) - India v Afghanistan at R Premadasa Stadium, Colombo. Thursday September 20, 2012 T20 World Cup Match at 19:30 (IST) - South Africa v Zimbabwe at Mahinda Rajapaksa International Cricket Stadium, Sooriyawewa, Hambantota. Friday September 21, 2012 T20 World Cup Match at 15:30 (IST) - Bangladesh v New Zealand at Pallekele International Cricket Stadium. Friday September 21, 2012 T20 World Cup Match at 19:30 (IST) - England v Afghanistan at R Premadasa Stadium, Colombo. Saturday September 22, 2012 T20 World Cup Match at 15:30 (IST) - Sri Lanka v South Africa at Mahinda Rajapaksa International Cricket Stadium, Sooriyawewa, Hambantota. Saturday September 22, 2012 T20 World Cup Match at 19:30 (IST) - Australia v West Indies at R Premadasa Stadium, Colombo. Sunday September 23, 2012 T20 World Cup Match at 15:30 (IST) - New Zealand v Pakistan at Pallekele International Cricket Stadium. Sunday September 23, 2012 T20 World Cup Match at 19:30 (IST) - England v India at R Premadasa Stadium, Colombo. Monday September 24, 2012 T20 World Cup Match at 19:30 (IST) - West Indies v Ireland at R Premadasa Stadium, Colombo. Tuesday September 25, 2012 T20 World Cup Match at 19:30 (IST) - Bangladesh v Pakistan at Pallekele International Cricket Stadium. Thursday September 27, 2012 T20 World Cup Match at 15:30 (IST) Super Eights - C1 vs D2 at Pallekele International Cricket Stadium. Thursday September 27, 2012 T20 World Cup Match at 19:30 (IST) Super Eights - A1 vs B2 at Pallekele International Cricket Stadium. Friday September 28, 2012 T20 World Cup Match at 15:30 (IST) Super Eights - D1 vs C2 at R Premadasa Stadium, Colombo. Friday September 28, 2012 T20 World Cup Match at 19:30 (IST) Super Eights - B1 vs A2 at R Premadasa Stadium, Colombo. Saturday September 29, 2012 T20 World Cup Match at 15:30 (IST) Super Eights - A1 vs D2 at Pallekele International Cricket Stadium. Saturday September 29, 2012 T20 World Cup Match at 19:30 (IST) Super Eights – B2 vs C1 at Pallekele International Cricket Stadium. Sunday September 30, 2012 T20 World Cup Match at 15:30 (IST) Super Eights – B1 vs C2 at R Premadasa Stadium, Colombo. Sunday September 30, 2012 T20 World Cup Match at 19:30 (IST) Super Eights - A2 vs D1 at R Premadasa Stadium, Colombo. Monday October 1, 2012 T20 World Cup Match at 15:30 (IST) Super Eights – B2 vs D2 at Pallekele International Cricket Stadium. Monday October 1, 2012 T20 World Cup Match at 19:30 (IST) Super Eights - A1 vs C1 at Pallekele International Cricket Stadium. Tuesday October 2, 2012 T20 World Cup Match at 15:30 (IST) Super Eights - B1 vs D1 at R Premadasa Stadium, Colombo. Tuesday October 2, 2012 T20 World Cup Match at 19:30 (IST) Super Eights - A2 v C2 at R Premadasa Stadium, Colombo. Thursday October 4, 2012 T20 World Cup 1st Semi Final Match at 19:00 (IST) at R Premadasa Stadium, Colombo. 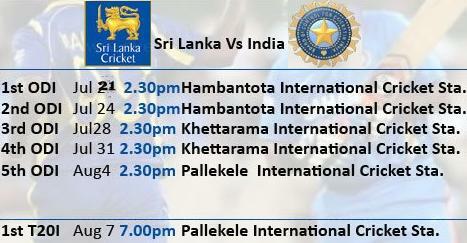 Friday October 5, 2012 T20 World Cup 2nd Semi Final Match at 19:00 (IST) at R Premadasa Stadium, Colombo. Sunday October 7, 2012 T20 World Cup Final Match at 19:00 (IST) at R Premadasa Stadium, Colombo. • T20 Cricket World Cup Watch Live: - Those, who want to know which television channel will telecast all the 2012 ICC T20 Cricket World Cup Matches Live in India, are requested to watch ESPN, Star Sports, Star Cricket, DD National TV Channels for the live T20 cricket world cup matches at home. Remember, the T20 Cricket World Cup 2012 matches will start in the noon (3:30pm) & in the evening (7:30pm) in India; so manage your time accordingly to watch live T20 World Cup matches everyday. 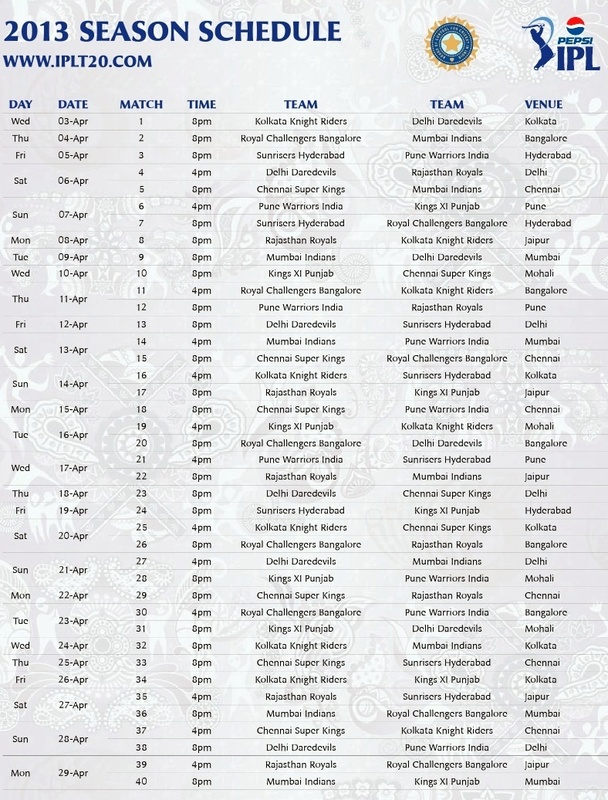 Indian team squad for Sri Lanka tour 2012, India Srilanka ODI T20 Cricket Match dates venue timings, India Tour Sri Lanka Cricket Tournament 2012 match fixture chart timetable. Indian Cricket Team is ready to tour Sri Lanka in July 2012 to play 5 One Day Cricket Matches and only one Twenty20 Cricket match. Sri Lanka is recently playing against Pakistan at home and performing like Lions. Players like Sangakkara, Dilshan, Jayawardane all are in their top form against Pakistan in June-July 2012 season. BCCI has announced the Indian Team squad that will play against mighty Sri Lankans in July 2012. Sachin Tendulkar was rested and Shewag, Zaheer will make their comeback. Mahendra Singh Dhoni (captain), Virender Sehwag, Gautam Gambhir, Ajinkya Rahane, Virat Kohli, Suresh Raina, Rohit Sharma, Manoj Tiwary, Ravichandran Ashwin, Pragyan Ojha, Zaheer Khan, Umesh Yadav, Ashok Dinda, R. Vinay Kumar, Rahul Sharma. 1st One Day International (ODI) Cricket Match between India & Sri Lanka will be played at Hambantota International Cricket Stadium of Sri Lanka on 21st July 2012. 2nd One Day International (ODI) Cricket Match between India & Sri Lanka will be played at Hambantota International Cricket Stadium of Sri Lanka on 24th July 2012. 3rd One Day International (ODI) Cricket Match between India & Sri Lanka will be played at Khettarama International Cricket Stadium of Sri Lanka on 28th July 2012. 4th One Day International (ODI) Cricket Match between India & Sri Lanka will be played at Khettarama International Cricket Stadium of Sri Lanka on 31st July 2012. 5th One Day International (ODI) Cricket Match between India & Sri Lanka will be played at Pallekele International Cricket Stadium of Sri Lanka on 4th August 2012. The one & only Twenty20 (T20) Cricket match between India & Sri Lanka will be played on 7th August 2012 at Pallekele International Cricket Stadium of Sri Lanka. One Day International (ODI) Cricket Matches will start at 2:30pm as per Indian Time (IST) and the T20 Cricket match will begin at 7pm as per IST (Indian Timing). So, don’t miss the India & Sri Lanka Cricket battle in July 2012. After the remarkable performance in Domestic season & IPL season, Manoj Tiwary and Ashok Dinda were picked by BCCI in Sri Lanka tour in July 2012. Hope for the best for two cricketers from West Bengal to play at their best capability. Sachin Ramesh Tendulkar what we will call you? Cricket Maestro, Master Blaster, Father of Cricket, God of Cricket, Cricket Legend - what will fit before your name? 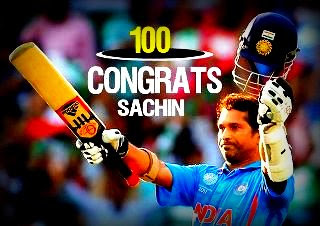 Many many congratulations to Sachin Ramesh Tendulkar for achieving 100th Hundred of International Cricket. After reaching to 99th International Hundreds, there was so much of pressure on Sachin Tendulkar - pressures of media, fans & critics. Sachin Tendulkar achieves what no one ever thought of doing. Sachin Tendulkar started playing cricket during his school days and played for Indian Cricket Team when he was only 16 years old. 22 long years, Sachin is taking the same responsibility of making Indian Cricket proud across the world. Sachin Tendulkar scored 51 Test Centuries and 49 ODI Centuries - Total 100 centuries tell the story that what's the need of Sachin Tendulkar in Indian Cricket Team. The 100th Hundred of Sachin Tendulkar took more than 1 year. Let's check out all hundreds that Sachin Tendulkar scored till now. 1) 119* vs ENG-Manchester-14 August 1990. 2) 148* vs AUS-Sydney-6 January 1992. 3) 114 vs AUS-Perth-3 February 1992. 4) 111 vs SA-Johannesburg-28 November 1992. 5) 165 vs ENG-Chennai-12 February 1993. 7) 142 vs SL-Lucknow-19 January 1994 (Test). 8) 110 vs AUS-Colombo-September 9, 1994 (ODI). 9) 115 vs NZ-Vadodara-October 28, 1994 (ODI). 10) 105 vs WI-Jaipur-November 11, 1994 (ODI). 11) 179 vs WI-Nagpur-2 December 1994 (Test). 12) 112* vs SL-Sharjah-April 9, 1995 (ODI). 13) 127* vs KEN-Cuttack-February 18, 1996 (ODI). 14) 137 vs SL-New Delhi-March 2, 1996 (ODI). 15) 100 vs PAK-Singapore-April 5, 1996 (ODI). 16) 118 vs PAK-Sharjah-April 15, 1996 (ODI). 17) 122 vs ENG-Birmingham-8 June 1996 (Test). 18) 177 vs ENG-Nottingham-5 July 1996 (Test). 19) 110 vs SL-Colombo-August 28, 1996 (ODI). 20) 114 vs SA-Mumbai-December 14, 1996 (ODI). 21) 169 vs SA-Cape Town-4 January 1997 (Test). 21) 104 vs ZIM-Benoni-February 9, 1997 (ODI). 23) 117 vs NZ-Bangalore-May 14, 1997 (ODI). 24) 143 vs SL-Colombo-3 August 1997 (Test). 25) 139 vs SL-Colombo-11 August 1997 (Test). 26) 148 vs SL-Mumbai-4 December 1997 (Test). 27) 155* vs AUS-Chennai-9 March 1998- (Test). 28) 177 vs AUS-Bangalore-26 March 1998 (Test). 29) 100 vs AUS-Kanpur-April 7, 1998 (ODI). 30) 143 vs AUS-Sharjah-April 22, 1998 (ODI). 31) 134 vs AUS-Sharjah-April 24, 1998 (ODI). 32) 100* vs KEN-Kolkata-May 31, 1998 (ODI). 33) 128 vs SL-Colombo-July 7, 1998 (ODI). 34) 127* vs ZIM-Bulawayo-September 26, 1998 (ODI). 35) 141 vs AUS-Dhaka-October 28, 1998 (ODI). 36) 118* vs ZIM-Sharjah-November 8, 1998 (ODI). 37) 124* vs ZIM-Sharjah-November 13, 1998 (ODI). 38) 113 vs NZ-Wellington-29 December 1998 (Test). 39) 136 vs PAK-Chennai-31 January 1999 (Test). 40) 124* vs SL-Colombo-28 February 1999 (Test). 41) 140* vs KEN-Bristol-May 23, 1999 (ODI). 42) 120 vs SL-Colombo-August 29, 1999 (ODI). 43) 126* vs NZ-Mohali-13 October 1999- (Test). 44) 217 vs NZ-Ahmedabad-30 October 1999 (Test). 45) 186* vs NZ-Hyderabad-November 8, 1999 (ODI). 46) 116 vs AUS-Melbourne-28 December 1999 (Test). 47) 122 vs SA-Vadodara-March 17, 2000 (ODI). 48) 101 vs SL-Sharjah-October 20, 2000 (ODI). 49) 122 vs ZIM-New Delhi-21 November 2000 (Test). 50) 201* vs ZIM-Nagpur-26 November 2000 (Test). 51) 146 vs ZIM-Jodhpur-December 8, 2000 (ODI). 52) 126 vs AUS-Chennai-20 March 2001 (Test). 53) 139 vs AUS-Indore-March 31, 2001 (ODI). 54) 127* vs WI-Harare-July 4, 2001 (ODI). 55) 101 vs SA-Johannesburg-October 5, 2001 (ODI). 56) 146 vs KEN-Paarl-October 24, 2001 (ODI). 57) 155 vs SA-Bloemfontein-3 November 2001 (Test). 58) 103 vs ENG-Ahmedabad-13 December 2001 (Test). 59) 176 vs ZIM-Nagpur-24 February 2002 (Test). 60) 117 vs WI-Port of Spain-20 April 2002 (Test). 61) 105* vs ENG-Chester-le-Street-July 4, 2002-N/R- (ODI). 62) 113 vs SL-Bristol-July 11, 2002 (ODI). 63) 193 vs ENG-Leeds-23 August 2002 (Test). 64) 176 vs WI-Kolkata-3 November 2002 (Test). 65) 152 vs NAMI-Pietermaritzburg-February 23, 2003 (ODI). 66) 100 vs AUS-Gwalior-October 26, 2003 (ODI). 67) 102 vs NZ-Hyderabad-November 15, 2003 (ODI). 68) 241* vs AUS-Sydney-4 January 2004 (Test). 69) 141 vs PAK-Rawalpindi-March 16, 2004 (ODI). 70) 194* vs PAK-Multan-29 March 2004 (Test). 71) 248* vs BAN-Dhaka-12 December 2004 (Test). 72) 123 vs PAK-Ahmedabad-April 12, 2005 (ODI). 73) 109 vs SL-New Delhi-22 December 2005 (Test). 74) 100 vs PAK-Peshawar-February 6, 2006 (ODI). 75) 141* vs WI-Kuala Lumpur-September 14, 2006 (ODI). 76) 100* vs WI-Vadodara-January 31, 2007 (ODI). 77) 101 vs BAN-Chittagong-19 May 2007 (Test). 78) 122* vs BAN-Mirpur-26 May 2007 (Test). 79) 154* vs AUS-Sydney-4 January 2008 (Test). 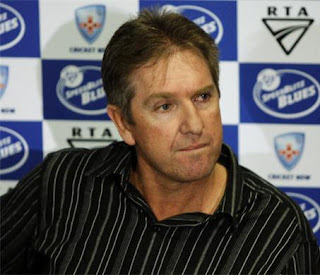 80) 153 vs AUS-Adelaide-25 January 2008 (Test). 81) 117* vs AUS-Sydney-March 2, 2008 (ODI). 82) 109 vs AUS-Nagpur-6 November 2008 (Test). 83) 103* vs ENG-Chennai-15 December 2008 (Test). 84) 163* vs NZ-Christchurch-March 8, 2009 (ODI). 85) 160 vs NZ-Hamilton-20 March 2009 (Test). 86) 138 vs SL-Colombo-September 14, 2009 (ODI). 87) 175 vs AUS-Hyderabad-November 5, 2009 (ODI). 88) 100* vs SL-Ahmedabad-20 November 2009 (Test). 89) 105* vs BAN-Chittagong-18 January 2010 (Test). 90) 143 vs BAN-Mirpur-25 January 2010 (Test). 91) 100 vs SA-Nagpur-9 February 2010 (Test). 92) 106 vs SA-Kolkata-15 February 2010 (Test). 93) 200* vs SA-Gwalior-February 24, 2010 (ODI). 94) 203 vs SL-Colombo-28 July 2010 (Test). 95) 214 vs AUS-Bangalore-11 October 2010 (Test). 96) 111* vs SA-Centurion-19 December 2010 (Test). 97) 146 vs SA-Cape Town-4 January 2011 (Test). 98) 120 vs ENG-Bangalore-February 27, 2011-(ODI). 99) 111 vs SA-Nagpur-March 12, 2011 (ODI). 100) 100* vs BAN-Mirpur-16 March, 2012 – (ODI). Sachin Tendulkar is the only Cricketer in the International Cricket History to reach the 100th Hundred milestone. Australian ex-Captain Ricky Ponting is the second cricketer with highest number of Hundreds in International Cricket History (till date) & that is only 71. 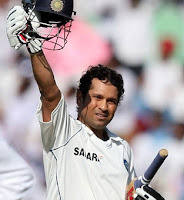 Sachin Tendulkar is fit enough to play more matches for India and we wish to see more centuries from Sachin Tendulkar. Indian Premeire League (IPL) governing body just completed the IPL-5 2012 Players Auction at Bengaluru on 4th February 2012 (Saturday). Last year on 19th September 2011 IPL Management had terminated one IPL T20 Cricket Team i.e., Kochi Tuskers Kerala for breaching terms of agreement and all the players of that team Kochi Tuskers Kerala & few others were named in 2012 IPL-5 Auction, where other IPL T20 Franchisee Team members took part and bid for their desirable players. Since, Yuvraj Singh is at Boston Hospital in USA for getting treatment of cancer and will miss IPL-5 2012 T20 Cricket Tournament, thus Pune Warriors T20 Team Franchisee owner Sahara Group demanded the amount to be given to them to bid for other player in IPL5 2012 Cricket Auction to IPL management. But, due to few terms of agreement, it wasn’t given and that’s why Pune Warriors Team Franchisee had boycott the IPL5 T20 Cricketer Auction event at Bengaluru. On 4th February 2012 (Saturday) at Bengaluru the biggest event of Indian Cricket completed. Yes, I am talking about the IPL-5 T20 Players Auction had been completed and now lets check out which IPL Team gets which player for how much money below. But, before that let me tell you that Indian All-rounder Ravindra Jadeja got the highest bid and after tie-breaker Ravindra Jadeja moved to Chennai Super Kings (CSK) T20 Team. • Kolkata Knight Riders (KKR) Selected Players in IPL-5 2012 Auction: - Kolkata Knight Riders (KKR) had selected three Cricketers from IPL-5 2012 Auction and they are Brendom McCullum of New Zealand, Sunil Narine of West Indies, and Marchant De Lange of South Africa. Brendon McCullum had start his IPL Season with KKR and then become Captain of KKR and last year not got choosen and again in this year KKR choosed Brendom McCullum. • Chennai Super Kings (CSK) Selected Players in IPL-5 2012 Auction: - Chennai Super Kings (CSK) had selected only one cricketer from IPL-5 2012 Auction and he is Ravindra Jadeja of India. • Delhi Daredevils (DD) Selected Players in IPL-5 2012 Auction: - Delhi Daredevils (DD) had selected few International Cricketers in IPL-5 2012 Auction and the names of new players of Delhi Daredevils (DD) are Andre Russell of West Indies, Doug Bracewell of New Zealand, and Mahela Jayawardane of Srilanka. • Deccan Chargers (DC) Selected Players in IPL-5 2012 Auction: - Deccan Chargers (DC) had selected few International Cricketers in IPL-5 2012 Auction and the names of new players of Deccan Chargers (DC) are Darren Bravo of West Indies, and Daniel Harris of Australia. • Mumbai Indians (MI) Selected Players in IPL-5 2012 Auction: - Mumbai Indians (MI) had selected few Indian & International Cricketers in IPL-5 2012 Auction and the names of new players of Mumbai Indians (MI) are Rudra Pratap Singh of India, Robin Peterson of South Africa, Thisara Perera of Srilanka, Mitchell Johnson of Australia, and Herschelle Gibbs of South Africa. • Royal Challengers Bangalore (RCB) Selected Players in IPL-5 2012 Auction: - Royal Challengers Bangalore (RCB) had selected only two Cricketer in IPL-5 2012 Auction and the name of new players of Royal Challengers Bangalore (RCB) are Vinay Kumar of India and Muttiah Muralitharan of Srilanka. • Rajasthan Royals (RR) Selected Players in IPL-5 2012 Auction: - Rajasthan Royals (RR) had selected few Indian & International Cricketers in IPL-5 2012 Auction and the names of new players of Rajasthan Royals (RR) are Sreesanth of India, Brad Hogg of Australia, Kevon Cooper of West Indies and Brad Hodge of Australia. • Kings XI Punjab (KXIP) Selected Players in IPL-5 2012 Auction: - Kings XI Punjab (KXIP) had selected few Indian & International Cricketers in IPL-5 2012 Auction and the names of new players of Kings XI Punjab (KXIP) are Ramesh Powar of India, Azhar Mahmood of England and James Faulkner of Australia. Since, Pune Warriors IPL T20 Team Captain Yuvraj Singh is recovering from Cancer and will miss IPL-5 T20 2012 Cricket Tournament; Indian Ex-Captain Sourav Ganguly may do the Captaincy of Pune Warriors IPL-5 Team. Check out more news of IPL-5 2012 T20 Cricket Tournament: - • Kolkata Knight Riders (KKR) IPL5 Match Schedule • IPL-5 T20 Cricket Match Schedule of Every Team •. Search Tags: KKR New Players, CSK New Cricketers, RCB MI New Indian International Players IPL5 2012 Auction. Asia Cup 2012 ODI Cricket Match Tournament Date Schedule Chart, One Day Cricket Match Fixtures of Asia Cup Tournament 2012, India Pakistan ODI Match Date Time Tickets of Asia Cup 2012 Cricket. Asia Cup One Day International Tournament is the one & only Cricket Tournament where only Asian Cricket Teams will compete with each other. India, Srilanka, Pakistan & Bangladesh – these four international cricket teams will participate in Asia Cup 2012 Cricket Tournament. Chief Executive of Asian Cricket Council, Saeed Ashraful Haque has declared the Asia Cup 2012 ODI Cricket Match Fixtures that starts from 12th March 2012. In the last Asia Cup Cricket Tournament in 2010, India became the winner by beating Srilanka at their home venue Dambula. Under the captaincy of Mahendra Singh Dhoni, Indian Cricket Team will defend their Winning Trophy of Asia Cup in 2012 Season. • 12th March 2012 Asia Cup ODI Cricket Match between Bangladesh & Pakistan. • 13th March 2012 Asia Cup ODI Cricket Match between India & Srilanka. • 15th March 2012 Asia Cup ODI Cricket Match between Pakistan & Srilanka. • 16th March 2012 Asia Cup ODI Cricket Match between India & Bangladesh. • 18th March 2012 Asia Cup ODI Cricket Match between India & Pakistan. • 20th March 2012 Asia Cup ODI Cricket Match between Srilanka & Bangladesh. • 22nd March 2012 Asia Cup ODI Cricket Match between FINAL (Top two teams from Group League). Note: All these matches will start at 2pm (IST) – ODI Cricket Match Timings of Asia Cup 2012. 2012 Asia Cup Cricket Tournament will be hosted by Bangladesh and all these ODI Cricket Matches of Asia Cup 2012 will be played at Mirpur Stadium, Bangladesh. Get ready for Asia Cup 2012 between 12th & 22nd March 2012. Sachin Tendulkar made 76-Runs at Kotla Test against West Indies in the 2nd Innings; this means Sachn Tendulkar could make his 100th Hundred at Eden Gardens Kolkata against West Indies in the 2nd Test Match between India & West Indies starting from 14th November 2011. Airtel Test Series India vs. West Indies 2nd Test at Eden Gardens Kolkata is going to be interesting because India has the chance to win the 3-Match Test Series and Sachin Tendulkar to make Hundreds of Hundred. Don’t miss the chance to see the Victory of India & to be a part of Historical moment of Sachin Tendulkar’s life; buy test match tickets of Eden Gardens Kolkata & try to be present at the stadium to see India vs. West Indies 2nd Test Match live. Here are the India vs. West Indies Eden Gardens Kolkata Test Match Ticket price & how & where to contact for Tickets. • Membership Tickets of India & West Indies Test Match at Eden Gardens Kolkata November 2011 – The Test Match tickets of Eden Gardens Kolkata for the members (honoury, life membership, Associate & Annual membership) will be distributed from Eden Gardens Kolkata Gate No.5, 6, 7, 8 counters from 11th November 2011 to 12th November 2011 between 10:30am to 4:30pm. If you are a valid member of CAB & have the Membership of Eden Gardens Kolkata then contact as mentioned to collect Membership Tickets of India & West Indies Test Match Tickets of Eden Gardens Kolkata. • General Viewers Audience Tickets of India & West Indies Test Match at Eden Gardens Kolkata November 2011 – Apart from Membership Tickets, the general Tickets of India-West Indies Test match Eden Gardens 2011 will be distributed to the people from 10th November to 13th November 2011 between 10am & 5pm from the Mohamadden Sporting Ground Ticket Counter. Remember, tickets will be sold as per first come first serve basis; so get in to the queue first to assure that you got a ticket of India West Indies Test Match. • Online Tickets of Eden Gardens Kolkata India & West Indies Test Match – People may buy tickets of India & West Indies 2nd Test of Eden Gardens Kolkata from their home / office through computer in online ticketing process. The authorized website to sell India vs. West Indies Test Match 2011 Eden Gardens Kolkata Tickets is www.kyazoonga.com and those who book their Eden Gardens Kolkata 2011 India – West Indies Test match Tickets online should come to Mohammadan Sporting Ground Counter on 12th November 2011 11am onwards to collect their Online Ticket of India vs. West Indies Test Match Ticket. Now, coming to the point that you are looking for; it’s the Ticket price of India West Indies Test Match 2011 Eden Gardens Kolkata. Two types of Tickets will be sold, one is Daily Ticket which is valid for only a mentioned day and another is Season Ticket which can be used for daily (5-days). Rs.1500/-, Rs.1000/- and Rs.500/- are the price of season tickets of India vs. West Indies Eden Gardens Kolkata Test Match November 2011. Search Tags: India West Indies 2nd Test Match Eden Gardens Kolkata Ticket price cost charge online buy book tickets of 2nd Test match India West Indies Eden Gardens Ticket collection counter dates timings where how when to collect tickets of India West Indies Test Match eden gardens Kolkata 2011 november. India-England pay back Cricket series is going on in India and our own Kolkata Eden Garden Cricket Stadium has one ODI Cricket Match between India & England and the one & only T20 India England Cricket Match in October 2011. The Cricket Association of Bengal started to sell India-England Eden Garden Match Tickets on & from 19th October 2011. Let’s check the detail of India Vs. England Cricket Matches at Eden Gardens Kolkata & Ticket price & India England Eden Kolkata Ticket booking online process. India Vs. England 5th One Day International (50 over) Cricket match at Eden gardens Kolkata on 25th October 2011 starting from 2:30pm. The 5th ODI Cricket Match at Eden Gardens Kolkata between India & England Ticket prices are Rs.500/- (upper tier), Rs.1000/- & Rs.1500/-. India Vs. England Twenty20 (20 over) Cricket match at Eden gardens Kolkata on 29th October 2011. The T20 Cricket Match at Eden Gardens Kolkata between India & England Ticket prices are Rs.500/- (upper tier), Rs.1000/- & Rs.1500/-. Eden Gardens Kolkata India England Cricket Match Ticket Collection Counters: Those who want to buy India England Cricket Match Tickets of Eden Gardens Kolkata by themselves are requested to present at Eden Gardens Gate No.3 and Gate No.4 Ticket Counter between 10am to 5pm from 19th October 2011. Tickets will be sold as first come first serve basis. Buy Eden Gardens Kolkata Cricket Match Tickets of India-England Online: - Those who want to Buy Eden Match Tickets Online should visit www.kyazoonga.com (official website for selling Match tickets). A limited number of daily tickets in the denomination of Rs.12000/- (special with hospitality), Rs.1500/-, Rs.1000/- and Rs.500/- for each match for the abovementioned cricket matches will be sold to the public from the Counters of Md. Sporting Ground on & from 24th October to 29th October 2011 between 10am and 5pm on first come first serve basis till the stock lasts. The Tickets of India-England matches booked through online will also be delivered from the same place on the above dates & time. Due to Durga Puja 2011, Eden Gardens Cricket Stadium lost the CLT20 (Champions League T20) Cricket matches; but now Eden Gardens Kolkata is prepared to thrill Kolkata & Bengal Cricket lovers with one Twenty20 cricket match and one Test Cricket match of India. India will face England for the one & only T20 Cricket Match at Eden Gardens at the end of this month October 2011 (29th October). After the poor performance in England by Indian Cricket Team, all eyes will be on Indians to see how they play in their home ground & condition against England. • 1st Test Cricket Match India Vs. West Indies starts on 6th November 2011 at Delhi Stadium. • 2nd Test Cricket Match between India Vs. West Indies starts on 14th November 2011 (to 18th November 2011) at Eden Gardens Kolkata Stadium. • 3rd Test Cricket Test Match between India Vs. West Indies starts on 22nd November 2011 to 26th November 2011 at Wankhede Mumbai Stadium. So, Cricket lovers get ready, Eden Gardens Kolkata welcomes you to watch live Cricket matches against England (T20 Cricket Match) & West Indies (Test Cricket Match) in this winter season. Tickets of India-England T20 Cricket Match of Eden Gardens Kolkata and also the Tickets of India-West Indies Test Cricket match of Eden Gardens Kolkata will be available at the Sales Counter & Mohammaden Club counters at Maidan. Indian Cricket Team Player V.V.S. Laxman Cricketer Profile Biodata Biography Laxman Player Cricket Records Stats Style Batting Bowling Fielding Teams played highest scores catches V.V.S. Laxman Cricketer Indian Player ODI Test T20 IPL English County Cricketer Laxman Profile Biodata Biography. Venkatsai Laxman is a right handed middle order batsman of Indian Cricket Team who can bowl off-spin occasionally. V.V.S. Laxman is gifted with superb timing ability and a skilful wrist player who doesn't technically 100% correct in footwork. The role model of V.V.S. Laxman is Mohammed Azharuddin (ex-Indian Cricket Captain). Slow runner between the wicket and weak ground fields man V.V.S. Laxman generally stands at Slips cordon or Bat-Pad position for his superb reflexes ability during catches. • Batting Style of V.V.S. Laxman Cricket Player of India: Right-handed. • Bowling style V.V.S. Laxman Cricket Player of India: Right-arm off spin. • International Test Cricket Debut of V.V.S. Laxman Cricket Player of India: 20th November 1996 vs South Africa. • Test Cricket Cap number of V.V.S. Laxman Cricket Player of India: 209. • ODI Cricket Debut of V.V.S. Laxman Cricket Player of India: 9th April 1998 vs Zimbabwe. • ODI Cap number of V.V.S. Laxman Cricket Player of India: 112. • Domestic Cricket of Indian Team and English County Teams represented by V.V.S. Laxman Cricket Player of India: Hyderabad (1992-Till now), Lancashire County Team (2007, 2009), IPL T20 Team Deccan Chargers (2008-2010), IPL T20 Teach Kochi (2011-Till now). VVS Laxman India Test ODI T20 IPL Player Cricketer Cricket Career Professional Career Statistics Match Details Performances VVS Laxman Cricketer Padmasree Awards 2011 VVS Laxman Cricket Career Stats Awards Man of Match Series Cricket Tournament Career VVS Laxman Cricket Debut Test ODI T20 IPL Domestic International Indian Cricket Player VVS Laxman Career Debut Match Details. Indian Cricket’s Very Very Special Cricketer V.V.S. Laxman had made his International Test Cricket Debut in 1996 against South Africa at Ahmehdabad where he scored maiden Test 50 runs on Debut Test of VVS Laxman. But, VVS Laxman becomes Very Very Special of Indian Cricket and cementing his place in Indian Men Cricket Team when VVS Laxman scored 167 against Australia in Australia’s Sydney in 2000. V.V.S. Laxman has started his Test Career for India as an opener during 1997-2000, but he failed to offer good scores continuously. But, when V.V.S. 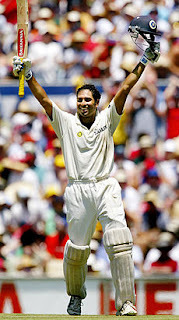 Laxman played the unbelievable match wining score against Australia at Eden Gardens, Kolkata; then onwards without V.V.S. Laxman the Indian Middle order batting line up never made. V.V.S. Laxman Indian Cricketer career is studded with 100+ Test Matches and 85+ ODI Matches for Indian International Cricket Team. • Drawbacks of V.V.S. Laxman Cricketer Career: Laxman is a slow runner between the wickets and weak in ground fielding. • Positives of V.V.S. Laxman Cricket Player Career: Laxman is a very good slip catcher and extremely blessed with wrist shots. • Test debut of V.V.S. Laxman Indian Cricketer: India vs South Africa at Ahmedabad, November 20-23, 1996. • ODI debut of V.V.S. Laxman Cricket Career: India vs Zimbabwe at Cuttack, April 9, 1998. • V.V.S. Laxman First Class Domestic Cricket debut Career: 1992-93. • VVS Laxman Cricket Career List A County debut: 1994-95. • V.V.S. Laxman IPL Twenty20 debut: Kolkata Knight Riders vs Deccan Chargers at Kolkata, April 20, 2008. • VVS Laxman ODI Cricket Career Stat: Played 86 ODI Matches, Total 2338 Runs at an average of 30.76 with 6 ODI Centuries and 10 ODI Fifties along with 39 Catches. VVS Laxman’s Best Score in ODI Cricket is 131. • VVS Laxman Test Cricket Career Stat: Played 119 Test Matches, Total 7856 Runs at an average of 47.32 with 16 Test Centuries and 49 Test Half-Centuries along with 119 Catches. VVS Laxman’s Best Score in Test Cricket is 281 and Best Bowling figure of V.V.S. Laxman in Test matches is 1/2. 2011 World Cup Cricket (One Day International World Cup 2011) is going to start from 19th February 2011. BCCI has announced the Indian Team for 2011 World Cup Cricket today on 17th January 2011 after the consultation with all management board members, Indian Cricket Captain and Indian Cricket Team Coach at Chennai, India. Gary Kirsten will be the Coach of India Team for 2011 Cricket World Cup. The selection of India Squad for World Cup-2011 was not too easy for the selectors of Indian Cricket Team and finally 4 pace bowlers and 3 spinners were selected in the 2011 World Cup playing India Cricket Team by the Selectors. But, unfortunately Spinner Pragyan Ojha, All-rounder Rohit Sharma, Batsman Murali Vijay,Wicket-Keeper Parthiv Patel, Fast Bowler Ishant Sharma and pace Bowler Sreesanth were not picked for the upcoming 2011 World Cup Cricket India Squad. In the 2011 World Cup Cricket Tournament; India is in the Group with England, West Indies and for that reason 2 or 3 Spinners including Leg-Spinner Chawla would be crucial. Don’t miss to watch 2011 World Cup Cricket and specially Indian Matches of World Cup Cricket-2011.